I'm just an obsessive maker of things who never quite finished that art degree. My library has a solid chunk of pulpy science fiction and a wide range of reference books. I can do most anything, just in a workmanlike fashion. Apparently, this includes writing. So, I'm going to do my writey stuff over here. Lookit me go. 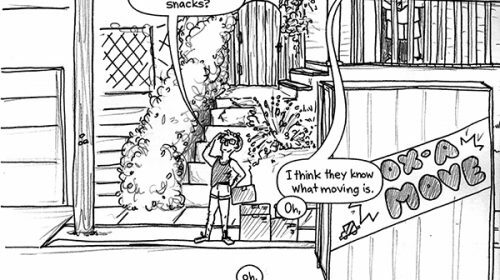 We finished moving in June but finishing these comics got put off a couple months, thanks to the whole process of moving itself. I finished them though, and that’s what counts. Originally published on Patreon in an early-release to patrons.